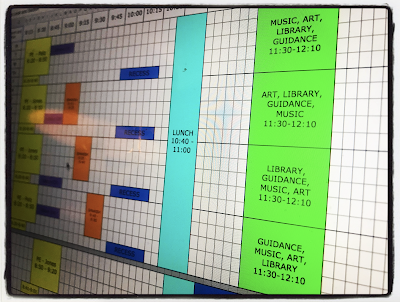 The Library Voice: A New Twist On Our Fixed and Flexible Library Schedule! 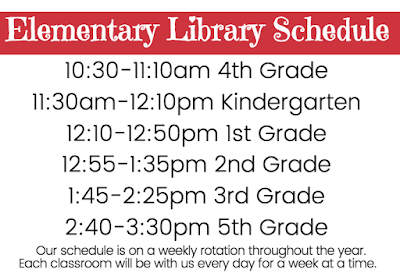 A New Twist On Our Fixed and Flexible Library Schedule! We are very excited about a lot of things as we start a brand new adventure in the Van Meter Library this year. 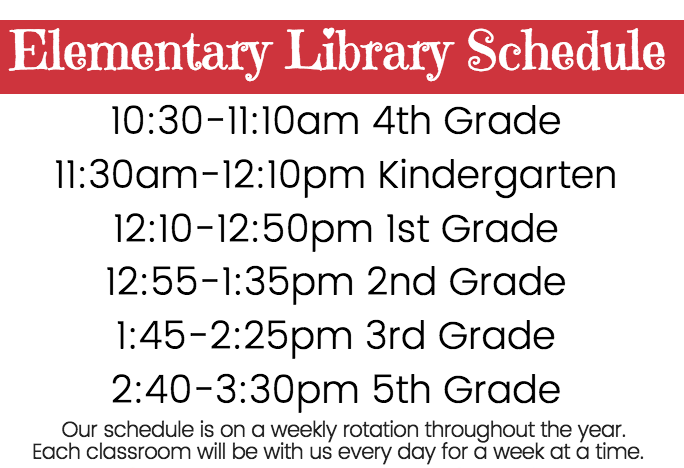 One of the things we are most excited about is a new twist on our elementary library schedule. First, let me give you a little background about our district and the history of our library schedule. Van Meter is a K-12 district with everyone in one building. We have one library that serves all of our students and teachers. This year we have TWO K-12 teacher librarians. My friend and colleague Jessica Rabe and I will be working together to serve all of the students, teachers and families within our community. We also work alongside our friend Diana Hockenberry. She is our library associate. Di and I worked together before for 8 years. She has been at Van Meter for almost 30 years. We have 3 or 4 sections of each elementary grade level, kindergarten through 5th grade. In the past, I had a fixed schedule with each elementary classroom. I was part of the related arts rotation. When I started, I had each class for 30 minutes once a week. After two years and lots of advocating, each class came to the library for 65 minutes on a 4 day rotation. They checked out books during this time too, but could always come to the library any time throughout the day too. I really enjoyed our schedule because I was able to see the students at least 5, 65 minute blocks each month. We worked on information literacy, digital citizenship, technology tools and apps, and our favorite part, helped each and every student develop a love and passion for reading. Also, we worked on amazing projects as we collaborated with the teachers and connected to what was happening in their classrooms too. With our schedule, the related arts had lots of opportunities to collaborate on projects during this time too, which we loved. We were all part of the same PLC which allowed us time to plan and collaborate these terrific projects and experiences we provided for our students. The rest of my time was flexible as I inspired and supported our readers; planned, collaborated and co-taught with the teachers; helped students in the library; supported and assisted with the integration of technology; and lots more of course. One of the downfalls of this schedule was that projects often times spanned over several weeks and took a long time to complete. This was tricky sometimes in keeping the students engaged and hard for me in keeping things organized. But again, the best part.....I saw all of the students a lot in the library for their fixed time and within their classrooms during my flexible time. 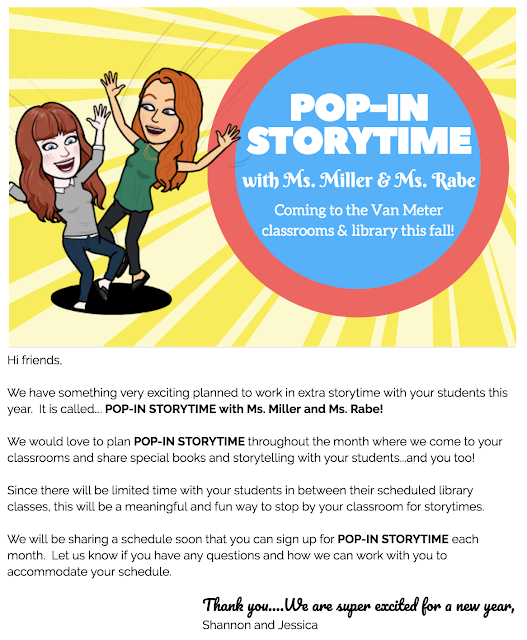 As I said, this year we are putting a new twist on our library schedule and we couldn't be more excited! Now, our schedule will be on a weekly rotation throughout the year. Each classroom will be with us in the library every day for a week at a time. With 3 or 4 sections of each grade level, we will see each class one week (5 days) out of the month. 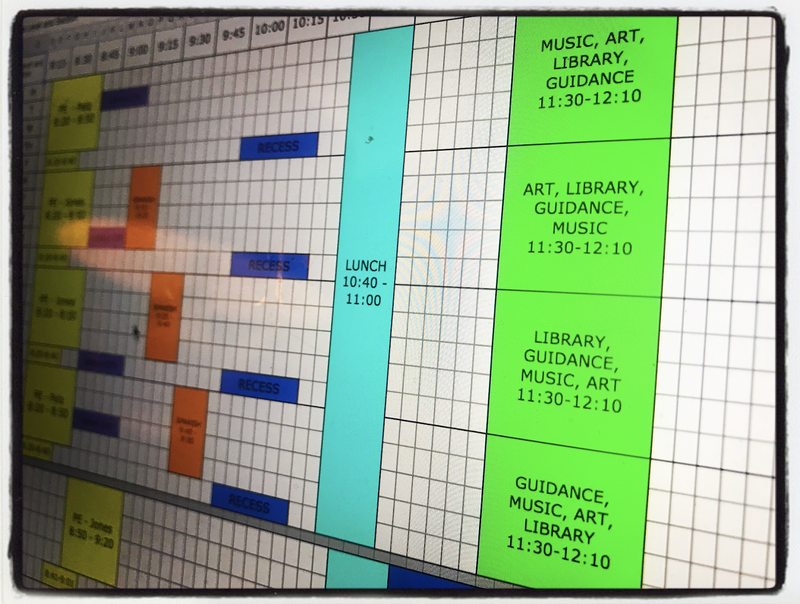 Our new schedule will allow us so many fixed and flexible opportunities with the students and with the teachers and other related arts teachers too. Since Jessica and I will be together, this will allow us to be flexible with our time during the fixed times. For example, if I am teaching kindergarten, Jessica can go upstairs and work with the high school reading teacher....this is where she is coming from as she was the high school reading teacher for the last several years. Or perhaps Jessica is teaching 5th grade, I can go down to the first grade to help them with a new digital tool or even to Skype an author. Even when our students come to the library with questions or need help, we will be able to serve them in so many different ways with this flexibility too. It is going to give us so many unique and important opportunities all around. 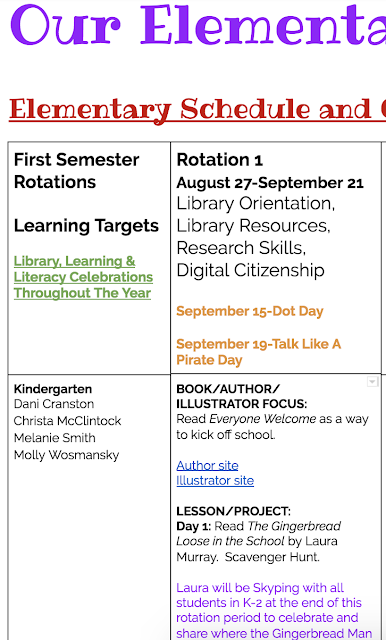 In fact, the teachers have started adding what will be happening in their classrooms throughout the year to our Elementary Collaboration Schedule and Collaboration Google Doc, which will guide us in planning these incredible weeks. 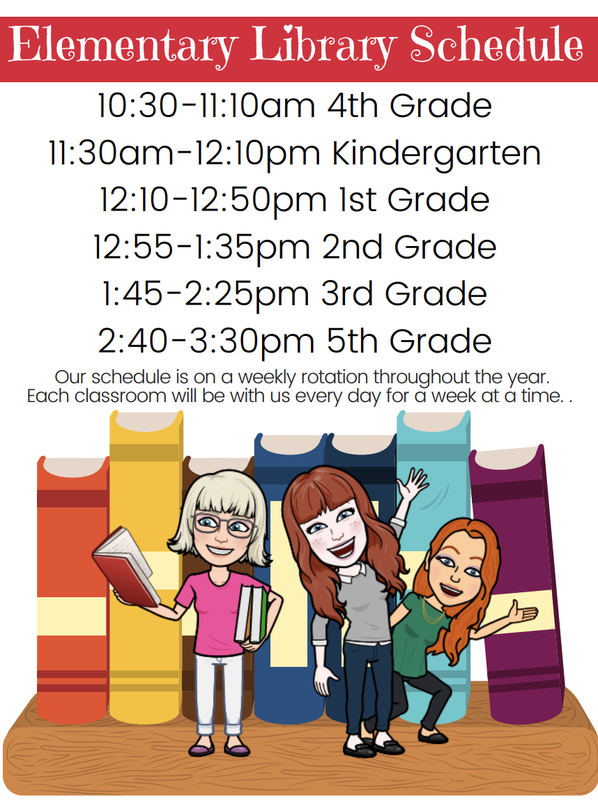 Each class will also have a set time to checkout books every week. The teachers signed up for these 20 minute blocks of time last week during the professional development days. The teachers will come with them to the library for this time too. Diana will help the students a lot during this time as it frees us up to collaborate and teach with the teachers and students. My teacher librarian partner, Jessica, and I also thought of a special way to spend more time sharing books with all of our K-12 students and teachers this year. Since there will be times in between when we have them in the library, we decided to create POP-IN STORYTIME where we will visit the classrooms to share special stories throughout the year. This will give us extra time to share wonderful reading experiences with the students and teachers, and also valuable time in their classrooms too. 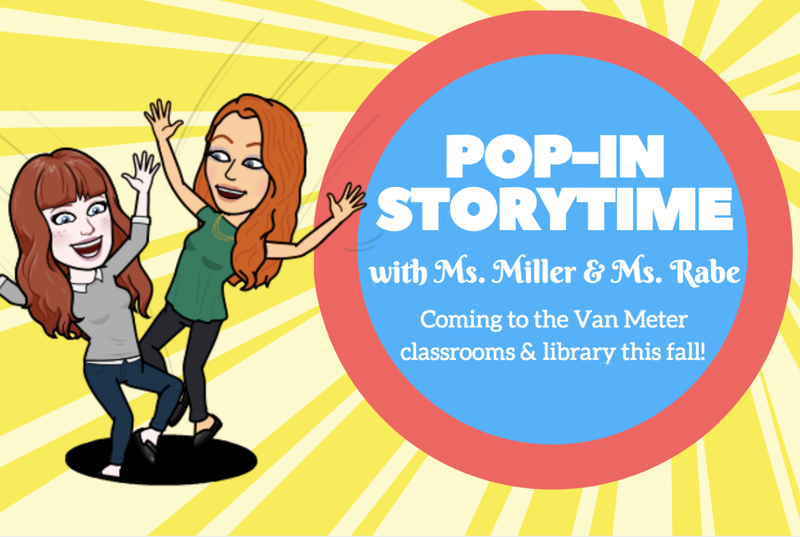 We can't wait to see what POP-IN STORYTIME brings our students, teachers, library and community this year. Stay tune for lots of updates! And one last thing about our library schedule....Our students can come anytime before, during and after school to check out books too. We always love having them in the library. As I said in the beginning, we are excited about a lot of things as we take off on this new adventure and I sure do think our schedule is going to be very valuable in making a big difference within our school community and within the lives of our students.